A day-long celebration of all things Science Fiction! Guest authors. Games. Prizes. Really bad movies. The "Space Invaders" tournament! Jedi light saber demonstrations. And maybe we will defy a law or two of known physics. Free! Popcorn and light refreshments served. Michael Jan Friedman chatted with LibraryThing members from Jan 18, 2010 to Jan 31, 2010. Read the chat. 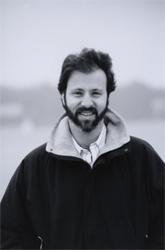 Michael Jan Friedman is currently considered a "single author." If one or more works are by a distinct, homonymous authors, go ahead and split the author. Michael Jan Friedman is composed of 10 names. You can examine and separate out names.